So will be working over the next couple of months to get the site refreshed. It’s been a while. DOPE has a broken element. Menus/Posts are not auto-collapsing. Has been this way for about a year. Time to get into wordpress code and correct or find a new layout. PICTURES. I have gone straight to Amazon Photos for all of our devices and pictures. The advantages are numerous (no limits, RAW, no compression) compared to Google, Cloud, etc. Did my research here. I am working to transition all photos from all devices here. Taking some time. Various other enhancements, tweaks … coming. 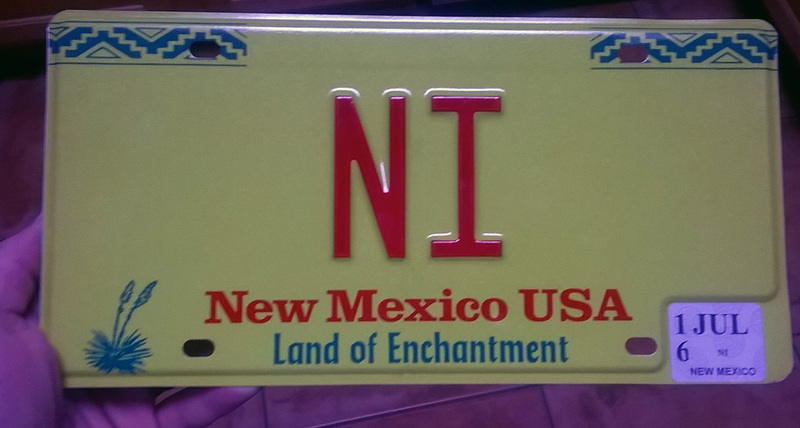 New License Plate arrived today! Avoid mixing burritos and asian food. Just got back from vacation – pics here. I will be working on a video over the next few weeks (GoPro footage, a lot of video taken).